Canyon Bakehouse has already won me (see that post here) over as one of the best gluten-free breads on the market, but if there's one overarching downside to gluten-free bread, it's that it's tiny. No self-respecting lunch packer wants to pack a teeny tiny sandwich that can be eaten in a few bites when gluten-eaters can enjoy full-size sandwiches that are so large they have to be cut in half. 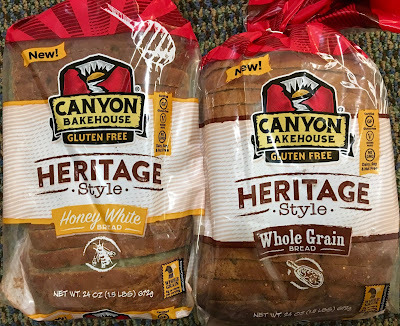 Enter Canyon Bakehouse's newest bread: their heritage style loaves that are a whopping 1.5 pounds, and impressive in their dimensions. 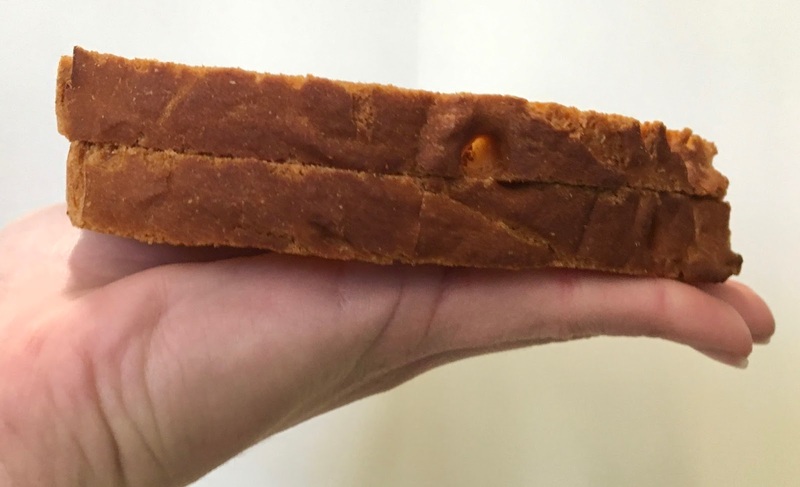 Finally gluten-free bread is entering the big leagues, and I couldn't wait to try it out as a college student who relies on packed lunches to get through my long days. This new Heritage Style bread comes in two varieties: honey white and whole grain. They are gluten, dairy, nut, and soy-free, and are worth taking note of because they are kind of a big deal (too soon for another "big" joke?). While these new loaves are pretty allergy-friendly, do note that they are not vegan because they do contain egg and honey. Other notes, are that both breads are Kosher and contain whole grains. Each loaf contains 16 slices. I ordered the bread online, and it came to me a couple days after shipping. The bread ships frozen but defrosts en route, but can be left out for several days before refreezing. Ingredient lists: Honey white on the left, whole grain on the right. The bread itself is notable for it's dimensions- each slice was about the length of my hand (top to bottom). When you slice it in half, it makes two decent-size portions that take more than a couple bites to devour. The whole grain bread has a noticeably grainy interior and exterior, as it is made with a variety of real whole grains. This bread has a nutty note, and a flavor profile that is a bit more complex than it's honey white cousin. While testing out several turkey sandwiches, I was impressed that there were only tiny holes in the bread (I'm looking at you Udi's, with your hole-y bread! ), and that it was impossibly soft and sturdy- with no toasting necessary. You won't get a lapful of crumbs eating this sandwich! For the convenience and luxury of being able to eat a "normal" sandwich at lunch, this bread is unparalleled. The honey white loaf has many of the same attributes as the whole grain one: it's soft, doesn't need toasting, and has a wonderful bready texture. The flavor profile is quite lovely, as it's light, sweet, and definitely has a dash of honey flavor. 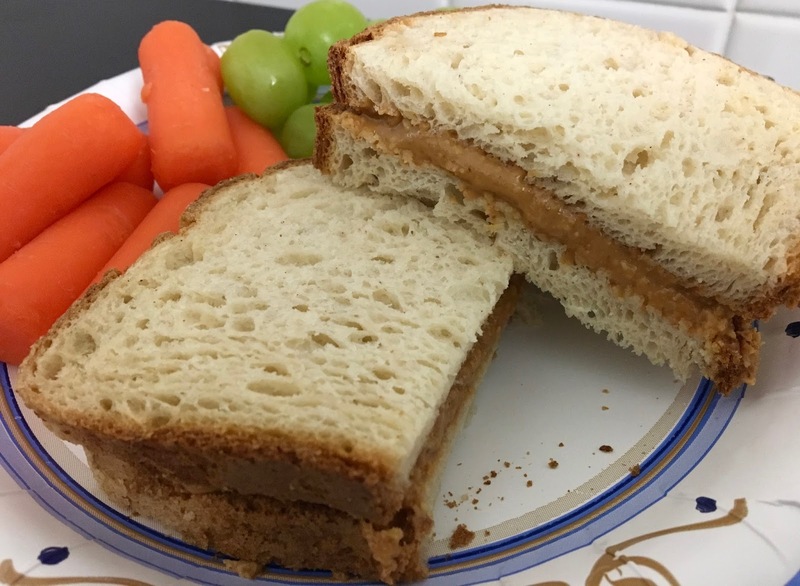 I made a plain peanut butter sandwich, and one bite definitely brought nostalgia for my gluten-eating days where peanut butter sandwiches were my preferred lunch. Although my brain liked the whole grain loaf for it's nutritional value, my heart belongs to the honey white, because it's primed to please kids of all ages. I have not been a regular gluten-free sandwich eater because it's frankly disappointing to have a sandwich that's super tiny, hole-y, and/or crumbly. 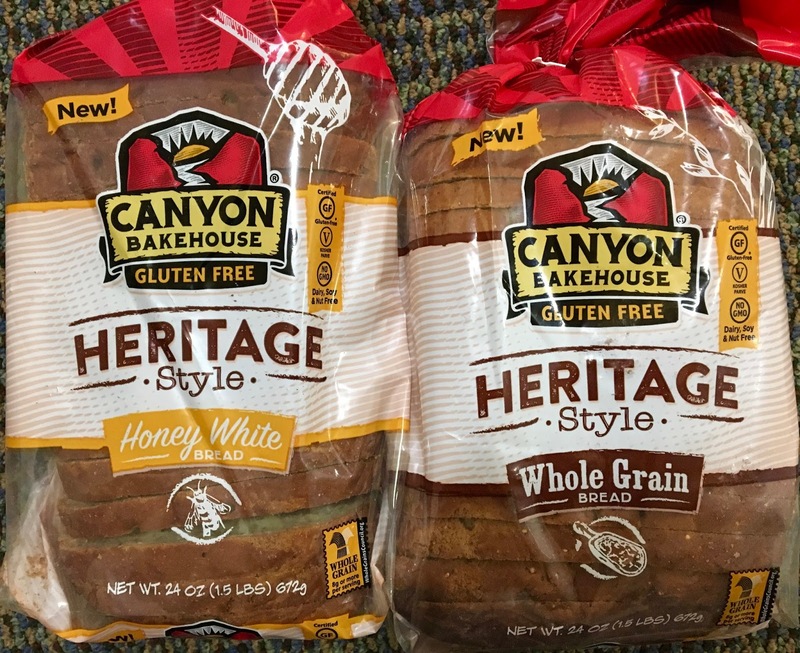 Luckily, Canyon Bakehouse is in the business of saving lunches everywhere, and turned me back into a sandwich believer with these Heritage Style loaves. They make packing a lunch effortless and delicious, and I looked forward to enjoying my lunch every day this week to experiment with sandwich stuffings. The good news is that these loaves are already out on store shelves. 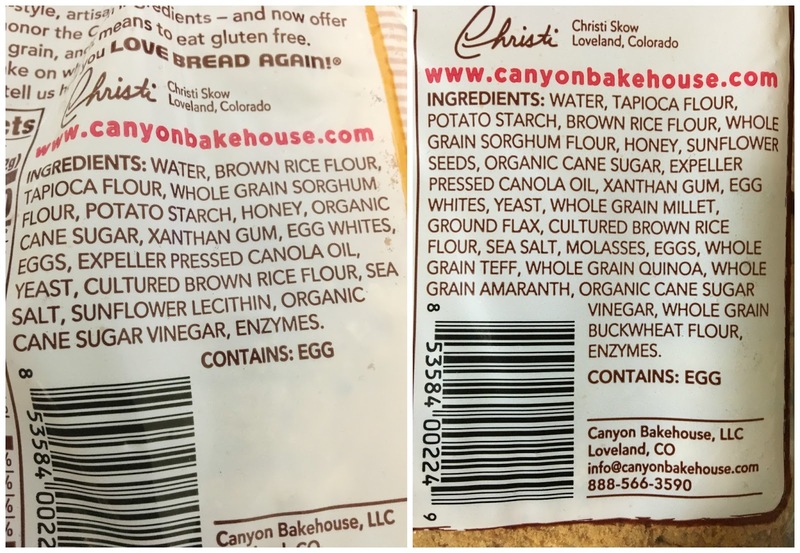 Use this store locator to find a Canyon Bakehouse retailer in your neck of the woods! If there's no place near you, order the loaves online right here.